BANGKOK — Thai prosecutors submitted a request in court Friday for Thailand to extradite to Bahrain a detained soccer player who has refugee status in Australia. Hakeem al-Araibi, a former player on Bahrain's national team, has said he fled his home country due to political repression and human rights groups and activists fear he risks torture if he is sent back. Bahrain wants him returned to serve a 10-year prison sentence he received in absentia in 2014 for vandalizing a police station, which he denies. 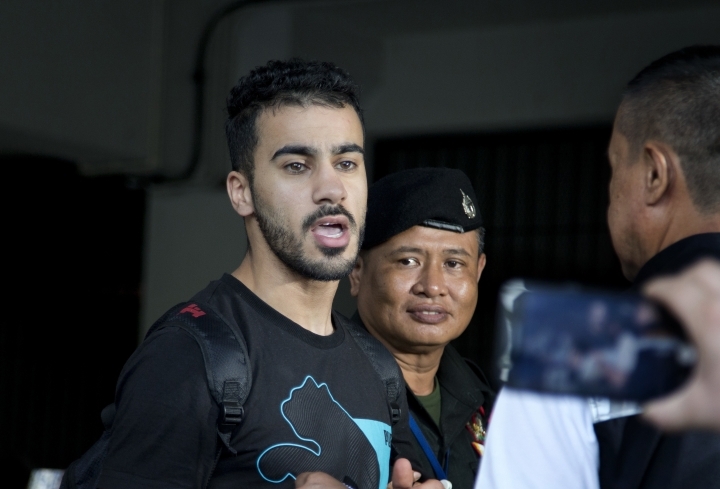 The court in Bangkok where the request was made set a Monday court date where Hakeem al-Araibi will be asked if he is willing to be extradited to Bahrain, said Chatchom Akapin, director general of the Thai office of the attorney general's international affairs department, which submitted the request. Rights groups, soccer governing bodies and activists have pushed for Thailand to release al-Araibi so he can return to Australia. Demonstrations were held Friday in Australia's two largest cities to demand his release.